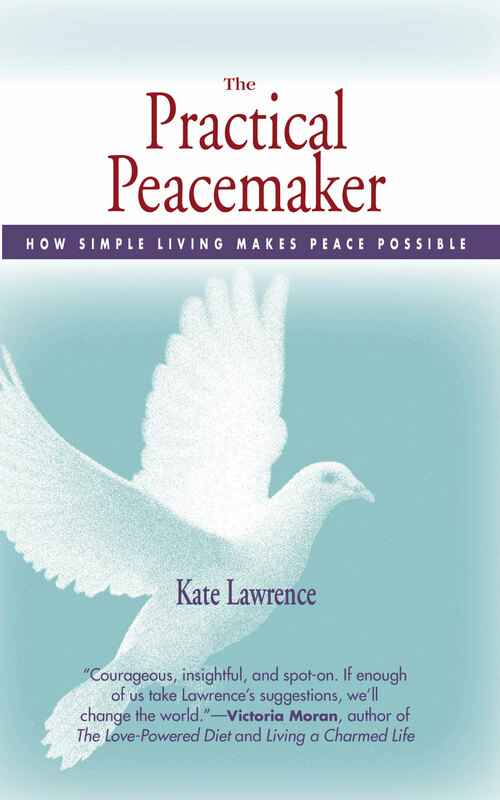 Afterword on the FPA Ordinance | A Practical Peacemaker Ponders . . . Anyone who follows Denver news knows by now that the Denver City Council passed the Food-Producing Animals ordinance last Monday evening by a vote of 7-3, with 3 members not voting. While many of us are sad that their decision means hatcheries will be killing more male chicks, more chickens will either be killed by predators or dumped at animal shelters, male offspring born to dairy goats will be disposed of somehow, and slaughter may occur in our urban backyards, there are still a couple of bright spots in this otherwise gloomy picture. First of all, the ordinance garnered only the bare minimum of votes to pass. Passage requires a simple majority which, with a Council of 13 members, means seven votes. For all Denver animal lovers who contacted your Council reps and expressed opposition, this may have prevented a more lopsided vote. To put it another way, you can see your power: if just one of the “aye” votes had gone against the ordinance, it would have failed; your contact with your Council rep can make a big difference. Keith and I e-mailed and spoke to our Council rep Peggy Lehmann; she voted against the ordinance. We need to remember our power the next time some sort of animal exploitation measure comes before our local or state government. We’re also glad to report that, due to pressure and education by activists, the permeable space requirements for chickens in this ordinance were substantially increased in committee. 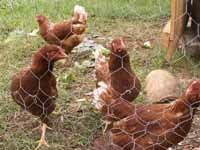 Furthermore, the passage of this ordinance killed another backyard chicken proposal, which would likely have gone to the voters in November. It was worse for chickens because it contained no minimum space requirements to house them and didn’t prohibit onsite slaughter; it was totally unregulated. So thanks to all who showed your concern, and remember you can make a difference!